Understand the results of your social media campaigns and tie social efforts to organizational goals and strategy. Organizations have increased their publishing and monitoring activities on social channels, hoping to create positive media experiences customers will share in order to nurture leads based on their social engagement. This includes moving beyond impressions and clicks and measuring and optimizing the number of actions generated by each campaign. 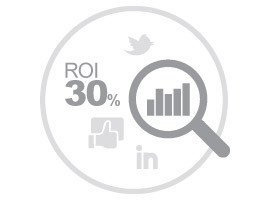 Not effectively measuring social media marketing results? 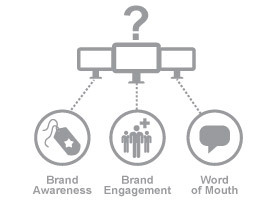 Difficult to pinpoint strengths and weaknesses of a social campaign? 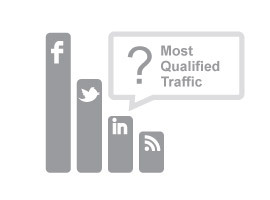 Which social campaigns drive the most qualified traffic? These are some of the top business challenges driving companies to search for effective Social Media Marketing solutions. Social Media Marketing is an ideal way to educate and engage prospects as they progress along the buyer’s journey. It is not only about engaging current customers and prospects, but making them act as a messenger for you.